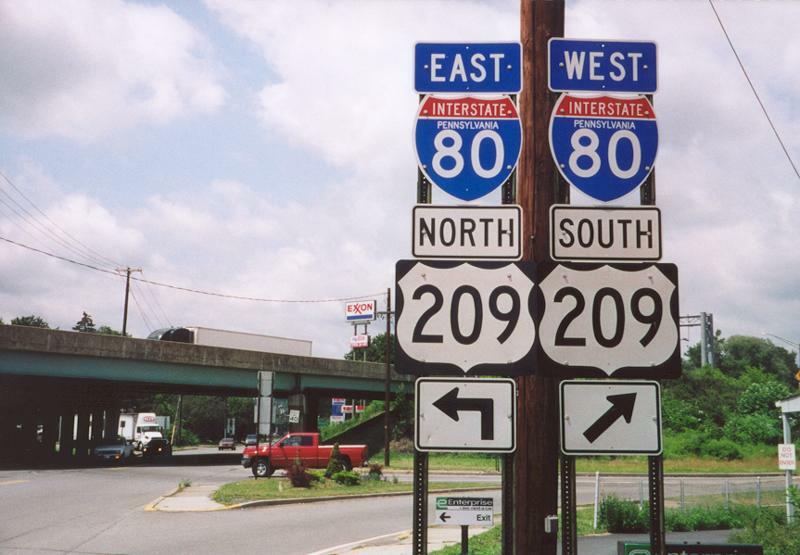 U.S. 209 Business (Main Street) westbound at Interstate 80 & U.S. 209 (Exit 305) in Stroudsburg. Photo by Alex Nitzman, 7/28/2000. Click here to browse through the Pennsylvania selection of our catalog of historic signs!